Bruce Miles - Haig Barrett, Inc.
Bruce is a Managing Director with The StratOps Group, a strategic growth consultancy to companies participating in the Retail, Consumer Products and MedTech value chains. Throughout his career, Bruce has earned a reputation as a high-energy and tenacious consultant with the vision to innovate business models to create a compelling competitive advantage, the experience to solve challenging problems which cut across organizational boundaries, and the organizational skills to lead companies to stellar operating results. He specializes at helping companies to create and implement operational excellence strategies, while fully leveraging existing core competencies, brands, value chains, and infrastructure. Known for consistently driving bottom-line results, Bruce has improved EBITDA & working capital by tens of millions of dollars at more than a dozen companies. He has worked with many leading Retail (grocery, pharmacy, specialty and department stores) and Manufacturing firms (high-technology, medical devices, industrial and consumer products). 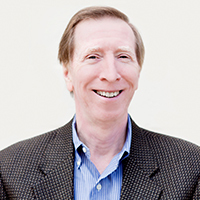 Prior to forming The StratOps Group, Bruce held senior Practice leadership responsibilities at some of the world’s most highly regarded consulting firms including Managing Director with AlixPartners (Operational Restructuring Retail/Consumer & MedTech/Hi-Tech), Managing Principal with IBM (Business Transformation-Retail/Consumer), and Partner with Ernst & Young (Operational Excellence and World Class Sales & Service). Bruce brings an executive perspective not typically found in most consultants, with proven executive management experience as acting CEO of a Medical Devices company, President & COO of a Hi-Tech company, and Chief Supply Chain Officer for a division of a Global 100 company.